There are so many different things you can do when you know how to code. Even just knowing one or two of the many programming languages opens you up to new career opportunities. Want to create your own game? Your own website? Maybe you want to become a software developer. Whether you want to learn to code for fun or to move into a new career, online computer coding classes can help get you started down whatever path you want to take. 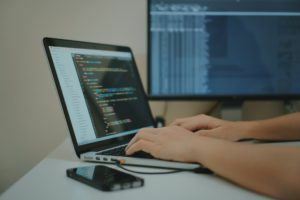 Even if you’re not looking to be an engineer or programmer, learning to code is a highly useful skill and one that will look great on any resume. Digital marketers who know the basics of languages like HTML and CSS don’t need to outsource website creation for the companies they work for. Small business owners will be able to save some money by programming their website in house. Learning to code will also help improve your collaboration skills. Developing a video game is not a one-person job. It takes many people to bring a game or an app or a software program to life. When you learn how to code, you learn how to communicate with other coders in order to work together. Even if you don’t end up using your coding skills in the workplace, chances are you work with or know someone who does some sort of programming or developing for a living. You’ll gain a better understanding of their job and all the work that goes into it and you’ll be able to better appreciate what they do. Coding is becoming increasingly popular, so there are a variety of different resources and classes available to you. If you are looking for an affordable, accessible option, taking online computer coding classes on Udemy may be a good option for you. Not everyone has the time or the funds to go back to school in order to learn how to code but that shouldn’t stop anyone from getting into the coding industry. Offering courses to people who may not have otherwise been able to learn the new skills they need is what Udemy is all about. There are many different courses covering all aspects of coding, from designing a website to doing the backend development for a program. You’ll be part of a learning community that includes university professors, professional programmers and developers, and other students just like yourself. The best part is that even once you’ve completed a course, it will still be available to you if you ever need to go back and review a lecture or redo an exercise. 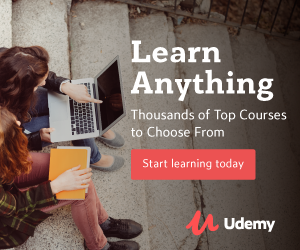 With Udemy you can learn whatever you want on your own time, in a way that works for you. 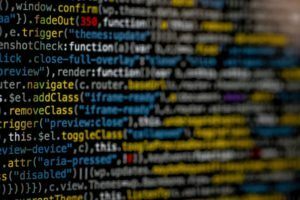 If you know absolutely nothing about coding and aren’t sure where to start, then Pre-Programming: Everything You Need to Know Before You Code is the best course to begin with. You will learn what exactly coding and programming are and what you can use them for. There are many different programming languages and knowing where to start can be confusing but this course will give you a rundown of different programming languages and different types of coding so that you can make a more informed decision about where to go next. You’ll learn many other things too, such as the history of the internet, “machine-speak”, frameworks and APIs, and content management systems. This course isn’t designed to teach you every programming language or even to teach you how to code at all. It is designed to give you the foundation and understanding you need to know what coding is and know how to choose the right programming path for yourself. Perhaps, once you’ve got down the basics of what programming is, you decide you want to learn how to code a website. Maybe you’re a small business owner or self-employed and need a website to help you in your business endeavors. Web Design for Beginners: Real World Coding in HTML and CSS will teach you how to build your own website. This course will teach you enough about web design that you should be able to create any website layout you can imagine. The course includes almost 50 downloadable resources, 9 hours of instructional video, and multiple hands-on exercises to help you practice your website building skills. Is making games more your style? There are a few classes for that as well. One such course is Become a Game Designer: The Complete Series Coding to Design. This is an extensive course with 70 hours of video instruction. Game designing is a competitive industry to get into and this course is designed to give you all the skills you need to start designing games like a pro, whether you’re wanting to work for a gaming company or create games on your own. You will start with beginner techniques but move all the way up to expert levels of game creation. One of the programs you will learn to use is Unity3D, a popular program used by many top game studios. You will also learn how to code using C#, a useful skill to have whether you’re creating in 2D or 3D space. In order to model and animate your game, you’ll learn how to use Maya and 3DS Max. To add the finishing touches to your game, you’ll learn how you can use Photoshop to paint the characters and landscapes used in your game. Game creation is about both coding and art. This course will help you use your creativity to get yourself into the gaming industry. Another course that includes some game creation is Complete C# Unity Developer 2D: Learn to Code Making Games. Throughout this course, you will do a series of different exercises that involve creating your own games, watch nearly 65 hours of video lectures, and take quizzes to test your understanding of all the material. And there is a lot of material! This course is focused on C# and Unity 2018 and is designed to help you learn through hands-on activities in addition to the lectures. You will learn the basics of C# and how to debug, as well as how to use the game engine Unity. Both sets of skills are going to be vital to game creation. After you’ve finished the course, the learning won’t stop either. There is a Facebook group you can join to chat with others who have taken the class so you can continue to create games and throw ideas around with others who are also learning. Since your exercises all involve creating actual, playable games, you’ll end the class with some great content to add to your portfolio. If you want to learn a variety of skills to add to your resume and move into a career in software development, web development, or any number of tech careers, then The Complete Web Developer in 2019: Zero to Mastery is for you. You won’t just learn one or two programming languages and you won’t just learn one type of skill such as game creation or website building. You’ll start by learning the history of the internet and the fundamentals of how it works, but you’ll quickly move beyond that. The first coding language you’ll learn is HTML 5. You will begin with basic skills and then go on to more advanced HTML. Once you have that down, you’ll learn CSS. Coding opens you up to a whole new world of career possibilities. If you didn’t go to school for coding, online computer coding classes are a smart way to gain the skills you need without breaking the bank. 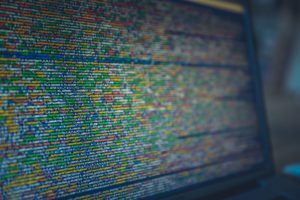 There are so many different programming languages and so many ways coding can be used that anyone can benefit from taking a course or two.